Dr. Porter is a lecturer in the Department of Chemistry and Chemical Biology. She was awarded a PhD in 2004 for her thesis titled: Structural and Mechanistic Studies of E. coli Dihydroorotase. She spent a year as a postdoctoral fellow in the School of Veterinary Medicine at Texas A&M University before beginning her teaching career at Prairie View A&M University (PVAMU) in 2006. 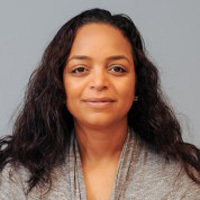 After 6 years at PVAMU, Tamiko moved to IUPUI where she teaches a range of undergraduate courses including Liberal Arts Chemistry (C100), Elementary Chemistry (C101), Biochemistry (C/K384) and Organic/Biochemistry for non-majors (C110). She is interested in chemical education research in the area of integrating technology into the chemistry classroom. She was the co-PI on a Center for Teaching and Learning Curriculum Enhancement Grant titled "Enhancement and Modernization of the Biochemistry Course Offerings in the IUPUI Department of Chemistry and Chemical Biology." Tamiko is also involved in a variety of non-teaching related activities on campus and in the community. These include her serving as the co-chair of the School of Science Diversity Council, chair of Department Awards Committee, secretary of the Indiana Section of the American Chemical Society (ACS), and first-year seminar instructor.